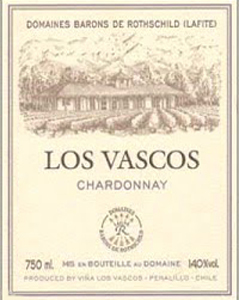 The Chardonnay of Vigna "Los Vascos" (Domaines Barons de Rothschild) is a fresh and delicate wine, with a harmonious and fruity bouquet. The Chardonnay grapes of the vineyard are complemented by a selection of grapes from the Casablanca valley, north of Santiago and Valparaiso. Fabulous, fresh and pleasant. It offers an explosion of aromas with notes of melon, banana, and exotic fruit. THE WINE The Chardonnay of Vigna "Los Vascos" (Domaines Barons de Rothschild) is a fresh and delicate wine, with a harmonious and fruity bouquet. The Chardonnay grapes of the vineyard are complemented by a selection of grapes from the Casablanca valley, north of Santiago and Valparaiso. Fabulous, fresh and pleasant. It offers an explosion of aromas with notes of melon, banana, grapefruit and exotic fruit. THE COMPANY Owner of Château Lafite Rothschild for five generations, the Rothschild family has been associated with the vineyards of Bordeaux since 1868 and today owns Châteaux Lafite Rothschild, Duhart Milon, L’Evangile and Rieussec. In addition to the wines produced from their prestigious vineyards, the Barons de Rothschild have for many years created a range of more accessible wines for everyday drinking. Initially created at the request of family and friends, these were known as the “Réserves des Barons”. In a continuation of this tradition, Domaines Barons de Rothschild (Lafite) decided to produce the Réserves in four major Bordeaux appellations:: Bordeaux, Bordeaux Blanc, Médoc and Pauillac. In creating the Collection, DBR (Lafite)’s objective is to offer classic Bordeaux wines with immediate charm. Before 20,72 € tax incl. Tasting Color: bright golden yellow color. Bouquet: large fruity bouquet with banana, apricot, alchechengian and kumquat notes. Taste: fresh and creamy, long lasting. 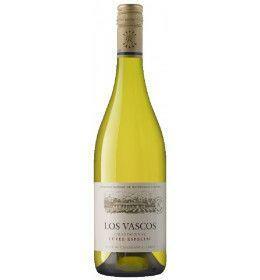 The Chardonnay of Vigna "Los Vascos" (Domaines Barons de Rothschild) is a fresh and delicate wine, with a harmonious and fruity bouquet. The Chardonnay grapes of the vineyard are complemented by a selection of grapes from the Casablanca valley, north of Santiago and Valparaiso. Fabulous, fresh and pleasant. It offers an explosion of aromas with notes of melon, banana, grapefruit and exotic fruit.